The word fossil comes from the Latin term fossilis, meaning "dug up." Fossils are formed when an organism is buried by water containing debris and minerals, and through the effects of wind or gravity. Most fossils are found in sedimentary rocks. Fossils can also be found in metamorphic rock, or rock that has been altered by heat or pressure. Rarely are fossils found in igneous rock, which is formed when magma flows and hardens. The five most often cited types of fossils are mold, cast, imprint, permineralization and trace fossils. A mold or impression fossil is formed when the plant or animal decays completely but leaves behind an impression of itself, like a hollow mold. No organic material is present and the organism itself is not copied. Mold or impression fossils can form in several ways, but generally enough air must be present to allow the organic material to completely decompose, which prevents fossilization or the organism. These fossils are usually formed in sand or clay. Cast fossils are the type people are most familiar with, as they make up the spectacular dinosaur skeletons that on view in museums. 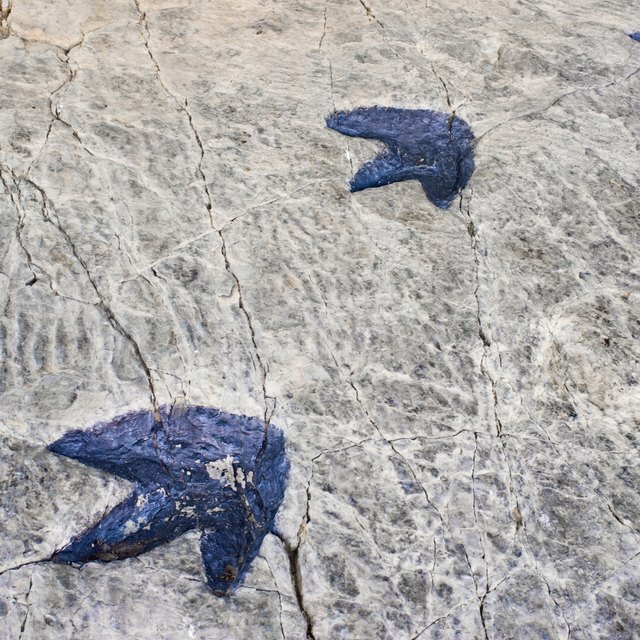 Cast fossils occur when minerals deposit into the mold left by the rotting organic material, resulting in a three-dimensional replica of the hard structures of the plant or animal. Imprint fossils are found in silt or clay, like the mold or impression fossils, but they leave behind just a two-dimensional imprint. These fossils are sometimes found on exposed rock surfaces or when the layers in the rock are broken, revealing the fossil inside. In permineralization, or petrified, fossils, each part of the organism is replaced by minerals, leaving a stone copy of the organism. Bones, teeth and even woody plant materials such as trees are sometimes preserved in this manner. One famous example of petrification is the hundreds of petrified trees in the Petrified Forest in Holbrook, Arizona. Trace fossils usually show tracks that animals made while moving across soft sediment. This sediment later hardens to become sedimentary rock. Trace fossils are valuable to palentologists because by studying these footprints, scientists can discover how the animals moved, which in turn gives important information about the structure and even the life of the species. 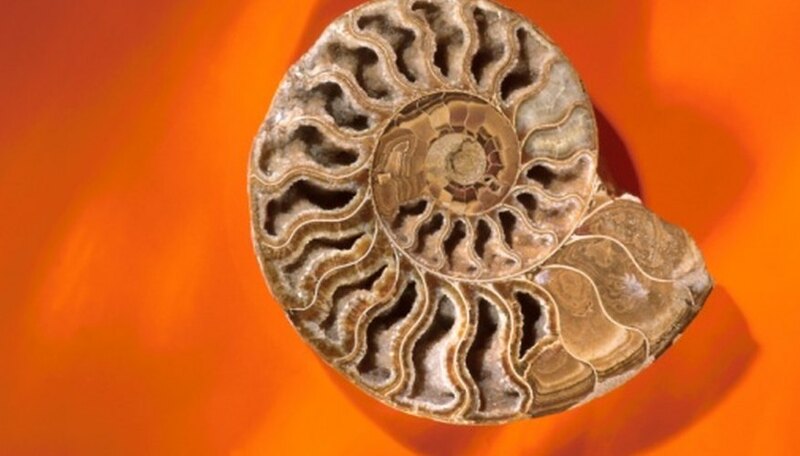 Fossil Facts and Finds: How are Fossils Formed? Smith, Natalie. "Types of Fossils & How They Are Formed." Sciencing, https://sciencing.com/types-fossils-formed-8035701.html. 25 April 2017.